THEY WERE ACCUSTOMED TO GOING OUT TO DINNER IN THE FILE CABINETS... GISELLE HERSELF MAKING A MAD DASH HOME ONE DAY RIGHT ACROSS MY LAP. THIS CAUSED ME TO DRILL THE 2" HOLE YOU CAN SEE IN THE 6" RISER UNDER THE COFFEE COUNTER SO I COULD SHOVE THE SHOP VAC IN THERE TO CLEAN UP.. AND ENCOURAGE THE FAMILY TO MOVE BACK INTO THE FOREST-- WHICH THEY DID--- FOR ?2 YEARS? NEXT TIME JANINE LEAVES WANDA ( THE JACK RUSSEL) HERE, WE CAN PUT ON HER YELLOW SECURITY GUARD VEST AND LET HER INVESTIGATE, AND DISCOURAGE ANY MIGRATION. NEW HORSE -- AN D LINCOLN-- GO T NEW SHOES YESTERDAY-- FRONT SHOES ONLY -- FOR 3 REASONS... CHEAPER.. 70% THEIR WEIGHT IS ON THE FRONT FEET... AND IN CASE THEY KICK AT EACH OTHER. 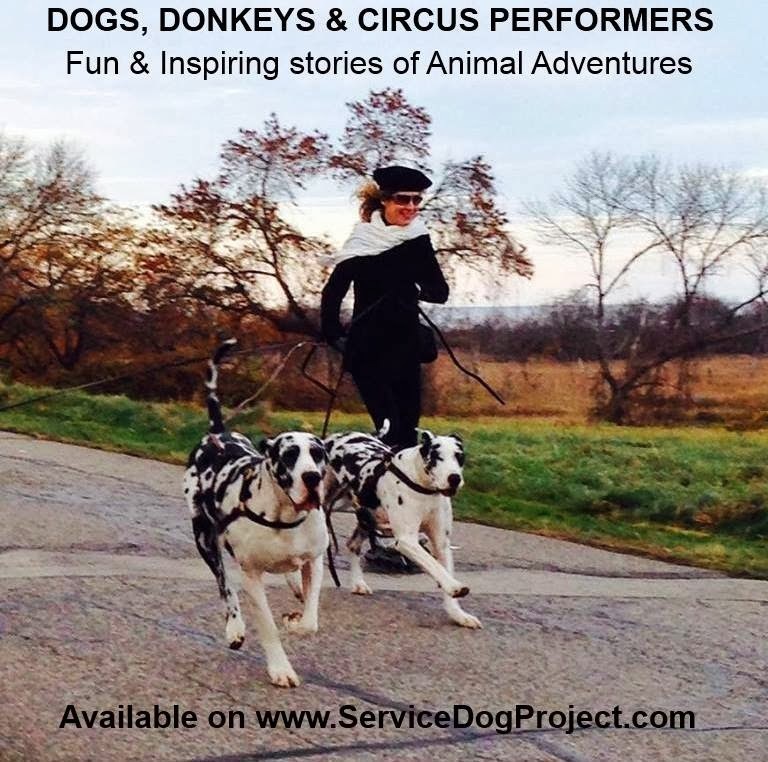 SEE JANINE'S BOOK.... ( DOGS DONKEYS AND CIRCUS)--- AS A YOUNG CHILD, I TOLD HER NOT TO TOUCH THE ELECTRIC FENCE.. AND SHE DID... AFTER THAT SHE PAID ATTENTION OT INSTRUCTIONS BETTER. I AM HAPPY WITH THE BANK TOTALS AND THEN SPLIT THE CATAGORIES TO SUIT THAT NUMBER. AND I DON'T SEE WHY THE IRS- OR ANYONE ELSE ( 501 C 3 DEPT) WOULD THINK THAT UNREASONABLE. BU T HTE BANK STATEMENTS HAVE ALREADY DONE THAT.... SO USE THOSE NUMBERS. I THINK I WON THE LAST SIMILAR CONTEST BETWEEN THE LITTERMATES MORIAH, MEGAN AND MARIA'S DOGS... BAD AS SHE IS , I THINK MORIAH IS THE BEST OF THE 3. HEARD FROM JASPER'S OWNER IN PORTSMOUTH--- HE IS READY WILLING AND ABLE TO COURT ANY FEMALE WE PRESENT TO HIM..... LIKE MISCHA... WHO IS DUE IN HEAT SOON. WE ARE GOING TO TRY OPAL TOO LIVE WITH BETSYS RELATIVES IN WALHAM???? ON THE SAME BASIS AS SCARLOTT... WE NEED HER AVAILABLE FOR PUPPIES-- SHE IS BENTLEYS SISTER... AND I HOPE WE CCAN GET PUPS FROM HER TOO.. THEY WILL BE HERE TODAY IN THE GUEST HOUSE TO TALK WITH OPAL AND SEE HOW SHE FEELS ABOUT IT. for those of you coming up and down the driveway, don't look up at the trees... it would make you very nervous...-- the forest has it's own survival plans for trees... and several of ours need to be creamated. i saw one get executed by a bolt of lightning...and immediately the bark pealed off a ?80 foot tall tree... spiraled right down to the ground pealing most of the bark.. at any rate i have a tree company coming to give me an estimate to clear back the forest of dead trees.. there is a good size "widow maker" -- stuck and prevented from falling. must have a professional because the gravatational forces around where you might think you could cut it.. are very pequiliar....i mean be careful to let someone else do it. sometimes they fall UP. we had a heavy rainfall--i am anxious to see if/how the guinnea chicks survived... last seen a fluffed up mom and dad were sitting next to each other... my guess is the chicks were under her-- probably very dry covered by their "down comforter". carol called ( service dog hawkeye-- in maine) apparently tufts is doing a bloat study... hawk is fine-- but they wanted information on his family history-- which of course we can give him... it took a while but it was rraining yesterday--- in my master list of dogs i have 260 dogs -- there are very few i do not know about...and am happy to pass on the information... we have had a few bloats that i know about......maybe 5 or 6 since 1990.
the part i found most interesting.... we have not entered all the 2014 and 2015 graduate information, and we have on the list donated 99 service dogs plus my sd... bentley... ... so for real numbers 260 minus 25 kept for breeding minus 31 still too young...4 on the list as doa... and we have not cleaned up the 2014 and 2015 donations....gives us a solid 50%---- when last i heard other adi members were in the 20% range.. so we aren't doing badly at all. they all love megan-- but will turn and go with their partners when things quiet down. in thqt gene pool we would have for grand parents---- mr Adams from canada---- deagle , belgium ---- scarlot, denmark and one gereration further bobby ferom hungary. and only one "inbred " situation where thumper jumped the fence and bred his daughter giving us bumpy-- who is bentley's father. Each summer I leave Yuma, AZ for my main home in Sandpoint, ID. This year along with the horses and dogs, I returned with 17 of my 18 chickens. One had gone AWOL when the van was leaving. She showed up a few days later and was fed by a neighbor. So this week I returned to AZ to pick up my Toyota truck and I put her in a dog kennel and traveled her back to ID. I don’t see what’s so funny about that but it seems to put a smile on each listener’s face when they think of me traveling home with a chicken. grace ( and all) have better access in our cellar..and our septic should be able to take it... when we built i remember the inspector saying we had eough drainage to run a small motel... how did she know??? i have tried several american breeders... without too much success... i have a generic call out for danes who have done agility and have some old relatives..
as i wander the world looking for dane genes...again... i came to the german official standards of a dane--- very interesting--- things i have decided to insist on... square males -- slightly longer females...pacing is out--- researved toward strangers-- devoted to owners..
i have contacted several breeders... there is one in czk. who has a bunch lookijng just like chaos and bentley.. what started me is that ... gary-- the veteran who is partnered reciently with victoria has a daughter going to school in russia-- and will be traveling back and forth occasionally..
they aen't titled... they aren't even registered which makes me even worse. i totally agree wiht trying to limit the breeding of dogs.. but all the puppy farms that sell pups to pet stores all have akc registration. i totally agree with the akc canine good citizen award. that concept is a great one... but $15 to register every dog is alot of money... for what? most american breeders brag about european bloodlines-- it becomes a question of what percentage??? one great grnadfather does not cut th emustard..
that is what i am doing.. I KNOW WHEN I TRY AND HATCH EGGS, THE BOOK TELLS ME HOW FUSSY THE ROTATION AND TEMP REGULATION ARE SO I HAVE FULL APPRECIATION OF ANY BIRD'S ABILITY TO FLIP EGGS OVER AND KEEP THEM WITHIN 1/2 A DEGREE OF 99 DEGREES.. THEY MUST HAVE AN ADVANCED DEGREE IN INSULATION-- WHAT DOES SHE COVER THEM WITH WHEN SHE WENT TO LUNCH? THEY HATCHED... THERE ARE BROKEN SHELLS... I DON'T KNOW WHERE SHE HAS THEM... BUT IF THEY ARE OUT TODAY WE SHOULD FIGURE OUT HOW TO KEEP THE HAWKS AWAY.... WE MIGHT HAVE TO GEET THEM INTO THE "V" PEN WITH ITS USED CAR DEALER FLAGS ACTING AS HAWK DEFLECTORS. I AM BACK SEARCHING THE WEB FOR ANOTHER CONTACT IN EUROPE FOR BLOODLINES-- I CERTAINLY WOULD LIKE TO HEAR FROM ANY AMERICAN BREEDER WHO HAS PUPS FROM BLOODLINES OF AN AGILITY DANE WHO IS 9 OR 10 YEARS OLD. THE AGILITY PART MIGHT INDICATE STRUCTURAL SOUNDNESS -- AND THE AGE WOULD HELP WITHTHE "DANES DON'T LIVE LONG" CONCEPT... IF I COULD FIND 10 MORE BENTLEYS/BAILEYS WE WOULD BUY THEM IMMEDIATELY. HE- BENTLEY- IS LEARNING TO PULL A WHELLCHAIR-- AND HE LOVES IT !! HE HAS ARRIVED AT THE "I GOT IT" CONCEPT... AND HE IS SOOOO PLEASED WITH HIMSELF -- WE ROARED AROUND HOME DEPOT YESTERDAY AT 90 MILES PER HOUR.... SCATTERING PEOPLE AS WE FLEW BBUY ..NO BRAKES, THE ONLY WAAY TO STOP IS TO LET GO OF HIM AND PUT MUY FEET DOWN. #2. COMING UP WITH EVERY NEGATIVE THING THEY CAN THINK OF ABOUT ANY TOPIC THAT COMES UP IN CONVERSATION. "LET ME TELL YO ABOUT THE NEW HOUSE I AM BUILDING" - GETS - "YOU KNOW LUMBER NOW IS SO BAD IT WILL FALL DOWN"
"I JUST BOUGHT A NEW CAR" GETS " I HEAR THEY MIGHT HAVE TO RECALL THOSE BECAUSE THE WHEELS FALL OFF." THEIR GLASS IS 1/2 EMPTY--- PART. PAM FOUND MY PORTFOLIO-- AND IT HAS SOME PICTURES I CAN USE IN THE BLOG... BUT I WOULD REALLY LIKE TO HAVE IT ALL SCANNED TO DIGITAL--- WITHOUT LOOSING TRACK OF IT ( LIKE SENDING IT TO SOME FAR AWAY COUNTRY FOR SCANNING... LIKE NEW JERSEY OR SOME SUCH) ..
biggest news is explore wants to continue with another contract for 3 +1+1 years..
somewhere along the way i said to charlie "as long as it did not cost me anything"
i have never had a co owner agreement with anyone... and alot of dogs ( and a horse or two) have been shared particularly for breeding with never a problem... my line of ---"you give them a happy life, and when it is over, it is over.... " which mostly pertains to any illness etc where you do not string them along... but it also implies that if i detect that the dog is not happy with you, i have no problem in taking the dog away... as i have done once.. at least..
? horse sharing? i had a palomino "grant"-- beautiful thing--- which thru a friend- dida , we ended up sharing with rex trailer who was boston's cowboy like roy rogers.. there was no nicer man alive than rex... honest as the day is long... and grant became his horse "goldrush III". and mary went along on parades and personal apperaendces as his donkey friend... for years . for me to keep up with finding amusing /educationbal photos etc is a bit of a challange. but between camera mark and some of the camera operators, i am doing all right so far... the people and the dogs around here -- there is bound to be one amusing/ wierd thing happen per week... if not.....that could have serious repercussions all round. i would not like to live a prepackaged lifestyle and will do all i can to avoid it. it all started with " the bed"-- which is a queen size matress/box springs on a strange heavy duty wagon on which i would put 3 dogs for parades. it was very popular ... paid for my kids college tuition with that bed which now i s beside the t tent. that wagon was made is such a way that both the front and back wheels turned when you made a corner, so you could drag a bunch of them in a parade and not worry about wiping out the crowd on a corner.-- so i coppied teh design, and built 3 lighter weight ones with bicycle tires for the donkeys to pull-- in the political year that involved bush clinton and perot -- i did the 3 caricatures of those men which now hang in the arena..
an interesting sideline... perot's wagon bent an axle in the salem parade and we had to pull the pin and leave it behind... just how symbolic was that? so now one of those wagons is getting redone for a giraffe carrying device-- the other will be redone as home for the ever growinbg ginnea chicks.. don't throw thing s away???? as that sad/sick person long ago emailed me " what does building a giraffe house have to do with producing servce dogs? you should go back to training and stop wasting time"
WHATEVER I ATE BEFORE GOING TO BED, I MUST AVOID IN THE FUTURE... I AM EXHAUSTED FROM DEALING WITH THE NOTION THAT MY CAR DID NOT HAVE BRAKES AND NEARLY ROLLED INTO THE FLAT FIELD WHERE THERE WERE 200 OF JANINE'S HORSES...AND I NEEDED TO GET IT ON THE SOUTH EAST EXPRESSWAY-- WITHOUT BRAKES- TO GET TO THE SECOND TOYOTA REPAIR PLACE BECAUSE THE FIRST TOYOTA REPAIR SHOP WAS TOO BUSY WITH CROWD CONTROL BECAUSE IT WAS MANAGED BY A CUTE FOOTBAL GUY WHO WAS RECIEVING A TROPHY FOR CHANGING MORE TIRES THAT ANY OTHER REPAIR PLACE IN ENGLAND-- AND THE ENTRANCE TO THE HIGHWAY WAS A HUGE DOWNILL SO I WAS WAITING AT A COFFEE SHOP WITH ANNE AND SUZANNE.... AND THERE WERE NOT ENOUGH CHAIRS. WHAT WAS IN THAT BEEF STEW...???? IT IS ALSO AMAZING THAT ALOT OF THAT HAS A SMALL BASIS IN FACT--- I ONCE HAD TO DRIVE A PICKUP TRUCK WITH NO BRAKES AND ONLY THE EMERGENCY BRAKE DOWN THE HIGHWAY BEHIND MY HUSBAND'S CAR TO THE DEALER.. BECAUSE IF YOU COUDL DRIVE IT IN YOU GOT $3000 FOR IT AS TURN IN.. A BUNCH OF HORSES? IS THE NEW HORSE AND THE 3 GIRAFFE STUFFED ANIMALS WE GOT AT MAILCALL- SECOND DEALER?- THE TOYOTAS PLACE MOVCED DOWN THE STREE TO NEW LOCATION.. THE FOOTBAL GUY? HAS TO BE THE TOM BRADY DEFLATING SCANDAL - AND THE HUGE DOWNHILL? WS TEH PHOTO OF THE BRIDGE IN JAPAN THAT LOOKED LIKE A ROLLERCOASTER AND MEGAN IS ON HER WAY TO A COASTERE IN OHIO... NOT ENOUGH CHAIRS? IS THE GIRAFFE TENT TABLES/CHAIRS. from betsy----we need to go to the doctor to have him sign that connor is physically capable of “working” and then go to the “yellow building” in ipswich (depot square) and submit the papers. seems like i am getting connor his “green card"
CONNOR HAD TO GET A PHYSICAL EXAM TO GET HIS WORKING PAPERS...they are new to me ..... SO for the past 77 years i needed to get permission to work??? -- along with giraffe colored cups/tablecloths and paperplates, ali and mimi sent 3 five foot tall stuffed giraffes-- presenting us withthe challange of ... what do we do with 3 giraffes???? i do have some ideas... that bed is on a wagon-- and i have a second wagon ... as yet unused.... behind the new GT.. it would make them a fun portable display. janine said she might be able to come try out the new horse today..... i need to book her time in 10 minute intervals like obama's schedule..
somebody told me ---today is international dryer lint cleaning day-- so i did tyhat... and i felt extremely guilty -- it had plenty of lint. and i threw it out--- remember meaty steve said i should stuff the dryer lint into the toilet paper tube and use it as fire starters. apparently it is a good fire starter-- i hear houses being burned down all the time with it. annother case of accidental brillannce... like pennacillin.. sorry steve... i figured by next fall when i needed to start fires i would not be able to find it. i know tehre is a stainless steel one closeted there... it was sooooo pretty... and i know tthere is the stainless bottom (minus vac) on wheels- out by the dumpster which someone keeps trying to throw away and i keep thinking it would be great for somethng i have not thought of yet. apply that behavior to almost anything a round here from grass mowing devices(2 small tractors, 2 walk behind whips , 2 electric whips plus a gass one, and 2 guinea hens) - to paint stirreres to help with the spirit sticks. i was at home depot trying to get bentley to pull me slowly-- to the great amusement of the entire staff of home depot... he does have a pretty good "whoa on him" -- i had stopped at the paint counter and saw all thiose matching paint stirrers- i asked for a handfull-- someone with a very large hand gave me a bunch-- so many that they do not all fit in the fun fund jar.... so pam put the rest "away"... perfect example-- i will use the ones in the jar for those people who send pictures and don't have a stick-- and when those are gone, we will not be able to find the next bunch-- now lost forever in the overflow room.... too valuable to be tossed away-- they will be reloacated in the paint stirrere WITNESS protection plan-- safe in an unknown location. we have need for an unbelievable number of odd things.. my father told me never to throw away hardware ... or matching items... for future use... (think--purina plastic jars that come with the wet food) that concept too is self perpetuating. - there must be a use for thousands of lovely little plastic containers... ?? walter's lousy aim could be one of them...?? along with ?parkinson's law? "clutter will accumulate to fill available space" --- boy do we understand that one... see the GTent. Hi Carlene,I just wanted to share a couple pictures with you. Monday Bella had a field trip and was a little nervous taking George on the school bus. I told her I was a chaperone and we would figure it out. So they had us get on the bus first while it was quiet. He walked right up the stairs and then as he got to the first row turned around. (Not sure how he turned himself around in a small bus isle but he did). Bella looked at me a little nervous then she gave George a pat on the head, told him he was a good boy and had him back up all the way down the isle! He did it without even stopping or trying to go forward. When they got to the back of the bus he got lots of love! Pats and hugs galore. She kept a hand on him for the whole ride into Boston and kept reassuring him. Then on the way home, she got on the bus first and told him to follow her and they walked right down the isle to the back of the bus like they have done it all year! He is one amazing dog. We can't thank you enough for the independence and strength he has given Bella. Thank you Rachel. ...megan is going to ohio- TO RIDE SOME ROLLERCOASTER-- I WILL FIND OUT WHERE AND WHEN IN CASE ANY OF OUR OHIO CP'S WANT TO JOIN HER. our poo pickers wouldnt work for them-- and they are prolific poo producers..
poo machines really-- every time they flick their tails some round pellets are produced. this book "walden" is loaded with observations of society... "it is easier to inherit useless worldly posessions than it is to get rid of them"
" if someone in paris puts a muskrat on their head, many americans would rush out to put muskrats on thier heads." he has alot to say about fashions, house sizes, and the effect of one generation on the next. and i have just started it. aside from the fact that he writes in very long sentances, i am having a good time with it. i wonder if i could plant crabgrass to begin with-- at least it would be green. i hope these dead trees i have suddenly become focused on manage to stay up til the tree guy can cut them down. donna and i are startting leash training with audry and vivien - (with the firgure 8 around their neck and girth) ..both are doing very well... the process is one of "explainig" to them that the rule of teh rope is an absolute one.... and try and do that with the least possible trauma. it is best done with their rear end aimed against some wall or corner... there has to be some pulling backward into the leash at which point you have to hold your ground. they must not get away and you must not try and ease off by walking toward them because they then figure you are chasing them in their misery... a few tugs ad relax and let them think til they say "what the heck i will try walking forward" and you give them big pattts.. sometimes it takes a while... after the initial "surrender" sometimes it is a questionof one or two 5 minute lessons for a few days and they get it. completing an electronic form - SDP is now in the system and pre-qualified. volunteer and request a grant. a long weekend of volunteer service. that could be a wonderful discovery !!! - scares me big time...  the chicken bricks are about 1/2 of it -- so keep them coming !! never did i ever think i would be dealing with those kind of numbers. my mind has more of  the $10 frame of reference. but the dogs we have put out and are coming along with do justify the expense. they are working wonders !! don't thank me,  SDP is  certainly a group effort ! thanks to those who have explained to me that it is possible to complain to amazon about loading my ipad with books in which i have zero interest... the books they are choosing for me is another very upsetting topic.... books about the tooth fairy and steam engines. what piece of information is stuck somewhere which is causing some computer to decide i should read about those things. why do train companies spend so much money on prime time ads about coast to coast train lines hauling letuce and new cars- just who are they trying to reach and why??? also one ad says something about moving produce for 50 cents a mile-- that has to be the brainstorm of some mathmetitian who said " tell me what you want to say and i wll find a way to have the statistics match"
statistics 101- the first thing you learn... you can nearly lie about anything....the growth rate and the rate of growth are wonderful for teh political writers- one can be up- the other down- depending on which word you want the public to hear. it is very annoying. yewterday we managed to have moriah and opal loose all afternoon without incident... they keep thier eye on each other -- there is no tru=st between them--- the only thing to distract them is for me to pick up the whiffle bat... then they both look at me. the new tables -- which i think you can see from the puppy hill camera, have one coat of polyurethane-- and will get another when the humidity drops... today so far it is like walking thru a pond..
so i called the outfit who took down the big trees from puppy hill which i then had lumber milled so i could build the t-tent...-- they were huge 90 foot trees- and as teh younger man was preping for the fall, i stood with " the old guy" and asked him to mark where the top of the tree would fall- he drew a line in the sand- and was off by about 4 inches... he was goooood. at the same tiem i hope i can get the dead limbs out of the pine trees while they are here... the place loo ks so much better when they are cleaned up-- there are some big limbs that could hurt so it is not all cosmetic. you might see some tree activity from the puppy hill camera- especially the dead tree by the girqffe tent and getting the camera down vrom the "V" pen area..
we added one more kid to the internship summer... he can do saturdays-- which seemed to be a problem for our usual 3.. he has been volunteering for a while for community service..